It's been a while, but I've been busy, busy preparing for the annual Spring Gathering by Blue's Junk & Primitives. 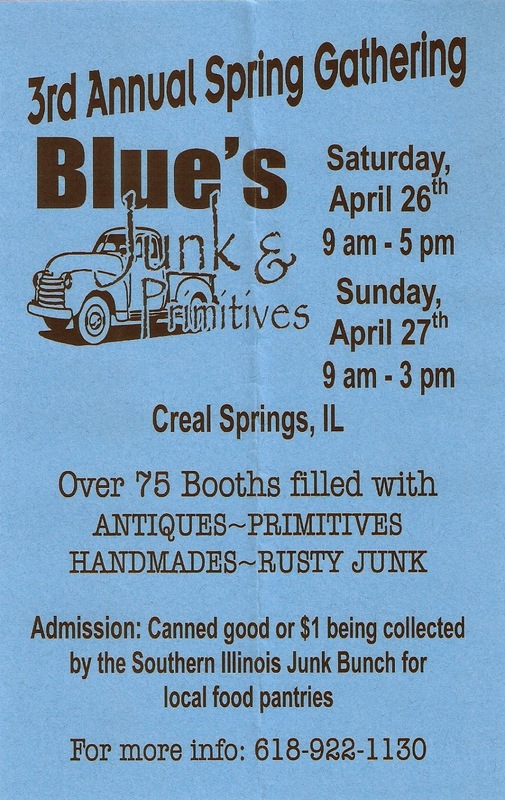 It is this Saturday and Sunday, April 26th (9am to 5pm) and 27th (9am to 3pm) in Creal Springs, Illinois. So pack up the family and head on down to this awesome vintage market. There are over 75 vendors with primitives, handmade, antiques, collectibles, and good old rusty junk! Make sure you bring a truck or trailer to haul your goodies home! Oh and don't forget to stop by the big, red BBQ barn to have some of Sam's BBQ and beans! Those beans are the best! This is one of 2 of my big shows a year. I will be filling a 10 X 20 booth full of my hand painted vintage and antique furniture. 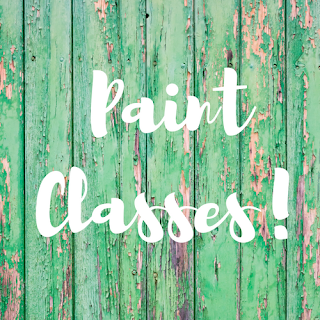 I will also have Miss Mustard Seed's Milk Paint and coordinating products for sale, too! It is supposed to be a gorgeous weekend with 70 degree weather! I hope to see you all there!